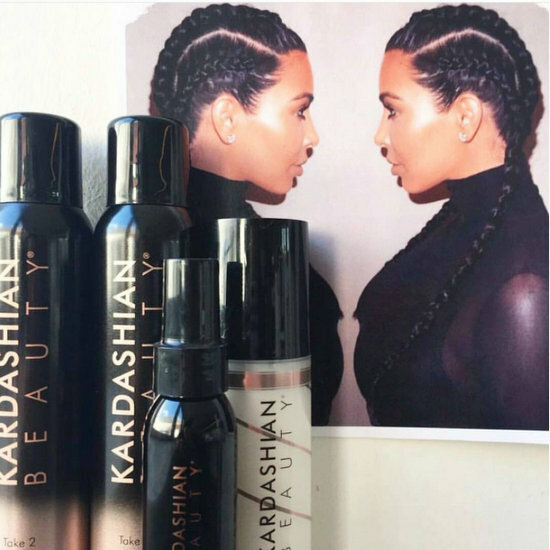 Kardashians Sued For $200 Million Over Kardashian Beauty Line! The problems of Kardashian Beauty continue to be spackled on thicker than a Kardashian’s contour. The Keeping Up With The Kardashians stars are facing a $200 million dollar lawsuit from investors who claim the struggling Kardashian Beauty isn’t being properly supported and endorsed by Kourtney, Kim, and Khloe Kardashian. Hillair Capital Management shelled out $10 million dollars to help save Kardashian Beauty after the previous investor went belly-up. They expected Kourtney, Kim, and Khloe – the sisters behind the line – to promote the brand via social media. I mean how could they find the time in between tweeting pictures of themselves naked or posing with begrudging celebrities?! Good gracious. This whole Khroma Beauty thing isn't going to go away. The Kardashian sisters slap their names on anything and everything imaginable, and the one time they decide NOT to use their name is the one time the poo hits the fan. When Kim, Kourtney, and Khloe introduced their Khroma cosmetics line, the brand's parent company Boldface was slapped with a cease and desist by the real Kroma. After the Florida based make-up company Kroma sued the Kardashian's Khroma for trademark infringement, the Kardashians changed the line's name to the oh, so original name Kardashian Beauty. However, Khloe wasn't happy about it…to put it mildly! Another day, another lawsuit seems to be the mantra for the Kardashian family, but this one actually ends with the little guy prevailing. Kourtney, Kim, and Khloe's cosmetics line Khroma Beauty is being renamed after a Florida based make-up line won its trademark dispute with the reality family. The business called Kroma Makeup was seeking $10 million in damages, but instead Kroma is rebranding itself as Kardashian Beauty. The sisters' products have already been produced and are ready to hit the shelves, but plans have been put on hold due to the massive relabeling. Top 10 Reality TV Stars’ Products Of 2012! 2012 is rapidly, rapidly coming to an end and before the Mayan Apocalypse claims us all make sure to catch up on all your 2012 reality TV marathons. Who doesn't need a 50th viewing of the infamous "Who gon' check me, boo?" argument. In honor of the year coming to a close let's celebrate some of the best, craziest, and most entertaining reality TV star products to hit the market this year. We all know there's only one reason to appear on these shows right? Product hawking! Did Khloe Kardashian Cause X Factor Ratings to Plummet? Plus, Another Lawsuit Against Khroma Beauty! Ouch. Things are not looking good for this season's X Factor and all signs are pointing to Khloe Kardashian as the reason. It's no secret that pretty much everyone in the world is so sick of this overexposed family, but I would have thought this hosting gig would perhaps legitimize Khloe since it's not actually a mind numbing E! reality show that follows around her family as they get married do nothing…vapidly. It seems that many X Factor viewers have expressed their disdain for Khloe getting the gig, and ratings have been Plummeting (yes, it's so bad I needed a capital P) since she joined the show. I know what you're thinking…she's only been on the two live episodes thus far. That's what makes it even worse! Simon Cowell is being blamed for bamboozling Fox into thinking that Khole would be a fan favorite who would boost ratings. Little did he know that instead she would bring a boycott. Kardashian Bikini VIDEO! Plus, Kourtney Explains Why She Won’t Get Married; And Kardashians Launch Khroma Beauty! Oh, Kardashians… seriously? Anyway, the first family of K has been busy, busy, busy self-promoting again! In the latest, the extremely pregnant Kourtney Kardashian – who is due any day now – took some time away from nesting and baby cooking to talk about why she still won’t marry her longtime boyfriend and two-time baby daddy Scott Disick. Appearing on Jimmy Kimmel Live, Kourtney spilled her guts, giving yet another excuse for why she won’t walk down the aisle. Personally I think she’s holding out until the price is right!